On the classic VW air-cooled engine, a few things typically go wrong. Since there were so many Beetles, we have a pretty big sample set of potential issues. One thing that commonly goes wrong – engine fires. Engine fires have more than one cause. Most folks on the internet see a fuel filter in the engine bay they instantly loose their mind and instantly suggest to move the fuel filter as a response to an engine that won’t start. Why is this the reaction? More importantly – what is the cause? There are a few common causes, plastic fuel filters can deteriorate or melt on hot exhaust components, brittle or cracked fuel lines, incorrect fuel line, leaking fuel pump, or leaking carburetor. All of these can be prevented. 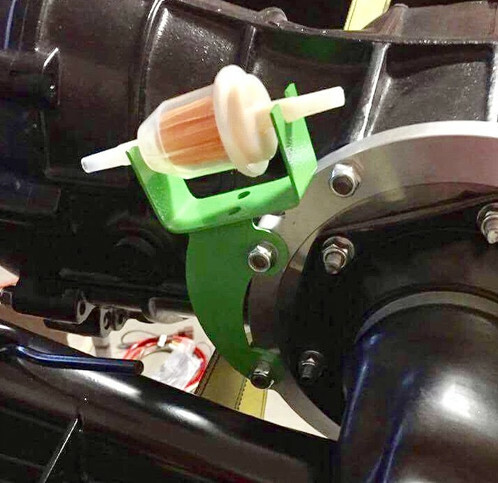 Personally, I like to have a fresh fuel filter under my fuel tank and a second within inches (er, centimeters) of my carburetor inlet which is contrary to popular opinion. This nearly guarantees me that no foreign matter can enter my carburetor, save for a short run of fuel line. Other folks have taken to mounting the fuel filter under the car just above the axle, hung from a bracket off the differential cover on the transmission. This isn’t a bad location since the fuel line exits the frame horn close by. 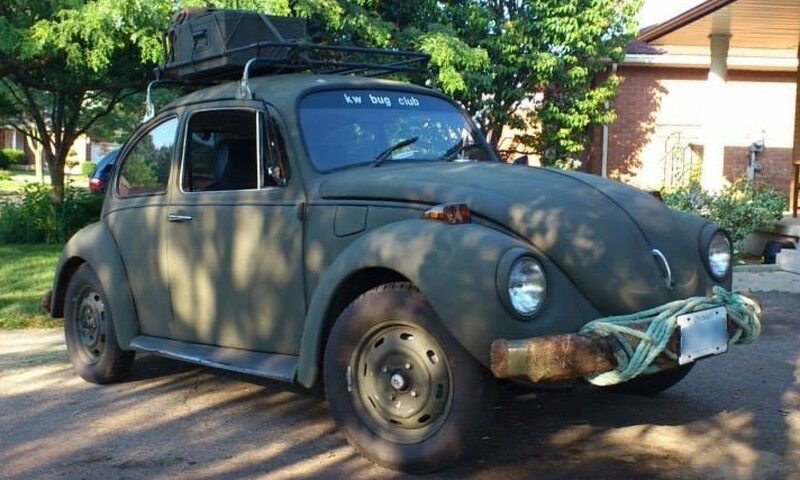 Speaking of fuel line, there is a good chance you may have the wrong fuel line on your VW. The original German fuel line was 5.0mm I.D., but since most automotive shops don’t carry metric line folks tend to use 1/4 inch I.D. line (actually 0.234″ I.D. ), which is 6.0 mm. This isn’t a tight fit and a recipe for fuel leaks. To resolve this to some degree, we use clamps to deal with the oversized hose. If you’ve ever seen factory fabric/rubber hose for a VW, you will notice that there was no hose clamps. The factory line was a tight 5.0mm I.D. and because of the fabric braid, it was resistant to pulling off a fuel inlet or hard line. Unfortunately, the factory style fuel line does not withstand modern fuels well, and they tend to rot prematurely. If you run this type of line, you may wish to ensure that you refresh it periodically. Another failure point, common to many carburetors and some fuel pumps is a loose fuel inlet. They are commonly brass pushed into cast aluminum. This simple press fit is sometimes less than ideal in terms of reliability, and sometimes the Brazil/Mexico reproductions are even worse fitment than the original equipment. 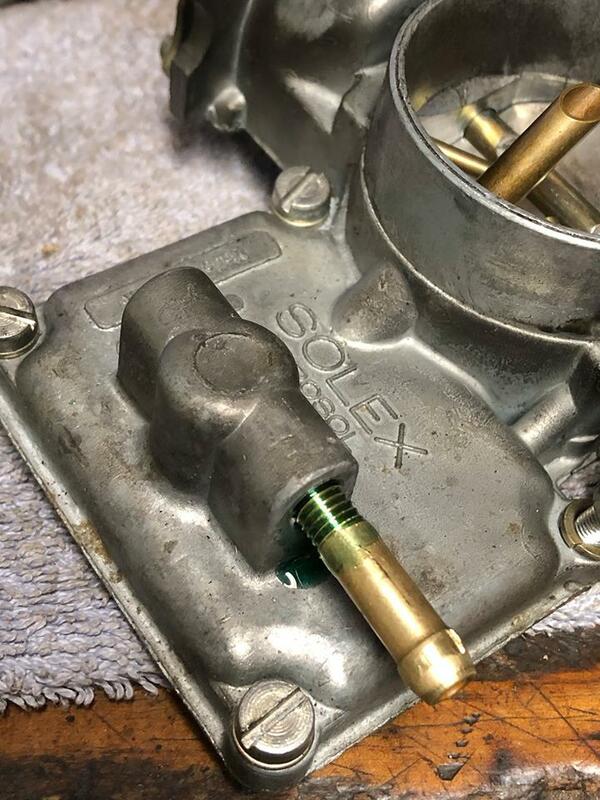 A threaded Solex inlet – nice! This carb is a fairly new single port 30 pict from cip. Brazil Solex. 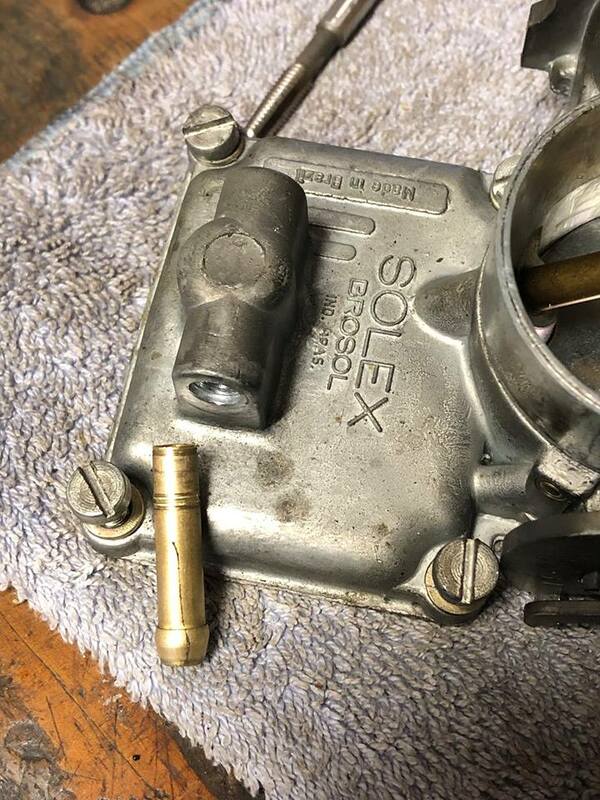 The brass fitting popped out while it was running so it sprayed gas everywhere. I tapped it with a 6mm tap and die and used Loctite sleeve retainer. It’s much more secure now. I’d say that looks pretty awesome and would solve the inlet fitment issue. Others suggested that they use mechanics wire, JB Weld to remedy this. Periodically inspect your fuel delivery system to ensure that the rubber components are in good shape, and check the condition of the fuel filters. Check the rubber lines to ensure that they are not hard/brittle or mushy. Also check the hard lines as they enter and exit the tunnel (if your car uses this factory location still), as they will begin to weep fuel there.